Doug contacted me to let me know has released a new version of his popular emulator app. To keep the app legal, it does not actually contain the calculators. You’ll need to find the download the ROM files separately if you want to use the calculators (kind of like the NES and other game emulators). 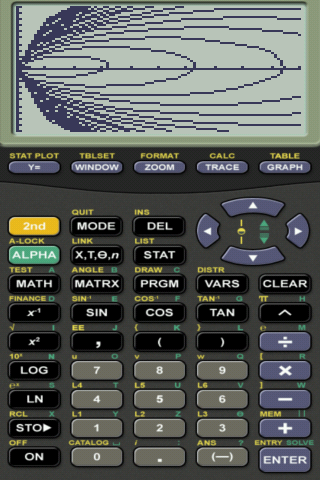 The new app, called Andie Graph, will run ROMS for the TI-82, TI-83, TI-85, and TI-86. Doug has added a blog post further explaining why the emulators were removed. It sounds like there’s still a chance they could go back up, but he has to obtain written consent from Texas Instruments. I have no idea if that’s likely or not. The Andy-8x emulators have been removed from the Android Market. Doug tweeted that he is hopeful to work out the licensing issues with TI. Stay tuned. Nonetheless, you won’t confuse these emulators for anything other than the original TI-83 or TI-86 graphing calculators. The emulators maintain the look and feel of the TI-83 and TI-86 in addition to their programming. They look slightly “squished” on my HTC Hero, but it doesn’t hamper the experience in any way. For those of you on Android, enjoy, and don’t forget to check out my article on my favorite calculator apps for Android.